You're excited to be hosting an event in just a few weeks and want it to be a smashing success. You know that creating your event through Facebook is the easiest way to publicize your gathering and to get as many people as possible to attend. However, you're not quite sure how to create the event on Facebook. Follow these easy steps and you and your guests will be party-ready in no time. 1. 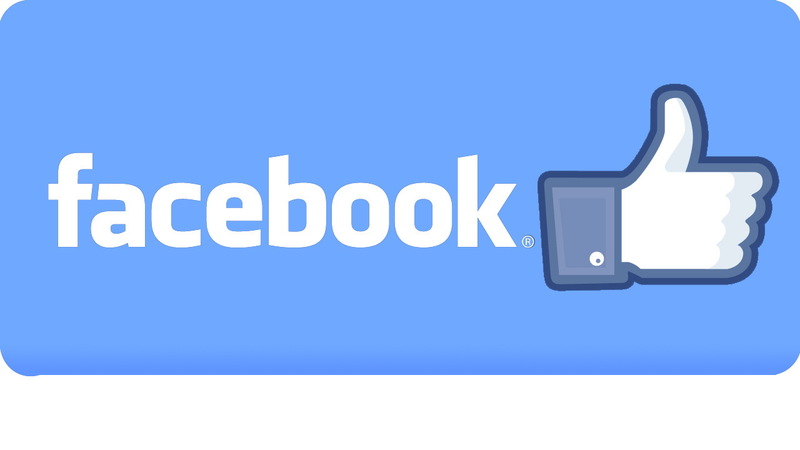 Log in to your Facebook account. Type in your username and password. 2. Click on the "Events" tab. You'll find it near the top left of your screen. It's third from the bottom of the "Favorites" column. If you have trouble finding it, look just below your profile picture. 3. Click on "+Create Event" tab on the top right of the page. You can find it in between the "Invites" and "Today" tabs. Clarity. The most important thing is that people actually know what they're signing up for. If it's a party that will be centered around watching a scary movie or a sporting event, make sure people know that they'll be sitting around a television. If you're celebrating something, like a birthday party or a recent accomplishment, make sure your guests know so they don't feel silly when they show up without congratulating the right person. Let people know that it's a surprise. Though it's tricky to keep things secret on Facebook, if that's what you're going for, make it clear. For example, you could be throwing a surprise party for your father, who does not have a Facebook account. Creativity. As long as you're clear, you can find a way to make your event stand out to your guests. Show them that it's not just another birthday party or costume party. In as few words as possible, show them that this will be a must-not-miss event. Simplicity. Being clear and creative is a plus, but don't overdo it. If you try to hard to tell your guests that you're inviting them to the party of the century, they may be turned off. Set the tone. If this is a more serious event, let people know to expect that they shouldn't go too crazy. If you're inviting them to a talk or a lecture, make it clear that they should be sober and respectful. If you're having an Oscar Party, for example, and really want to watch the show, make it clear that people shouldn't show up if they plan on giggling through the entire thing. Of course, fun is always allowed, but making your expectations clear will ensure that you can enjoy your own event. Tell people what to wear. If it's just a casual house party, you don't have to make a note of it, but if you want people to look more formal for a special occasion, let them know so they're prepared. If you'll be spending some of the party outside where it's chilly, or if you may take a dip in your pool, tell them to bring coats or bathing suits just in case so they don't feel left out. Tell people what to bring. If it's a BYOB or a pot-luck, make sure everyone is in the know so they don't show up empty-handed and feel inadequate. This will also ensure that you have enough supplies for everyone. You don't want to make a beer run during your own party. If you really want people to bring stuff to your party, don't be shy about it. Don't say, "Bring drinks or snacks if you want," because people may get lazy and not bring anything, and then you'll end up shelling out lots of cash that you didn't intend to spend. If it's a potluck, you can ask people to post what they're bringing, so there is a variety of food and no one brings the same thing. If it's a charity event or another event where donations are strongly recommended, let your guests know so they don't foolish when they show up with an empty wallet. Tell them how important it is to RSVP. If you're having a house party or making a dinner reservation and the head count is really important, let your guests know. A lot of people don't RSVP because they assume you know they're going, and some people tend to RSVP when it's likely they won't make it. 6. Add the location of the event. Be clear about where you'll be meeting up. Give the exact address of the destination. If it's at your house and your guests have all been there before, give them the address just in case. If you're not comfortable with putting your address on Facebook, you can give it to your guests through email or texting. Tell your guests if it's important for them to show up on time. If you're throwing a surprise party or singing at a concert, their promptness is crucial to the success of your event. If your event will have multiple venues, then let your guests know where you will be when. For example, if you're starting off at your house but then going to a bar, tell them when and where to go. If you have multiple locations for your event, know that things may not go as planned, so tell your guests to text you if they're late so you can tell them where you are. 7. Add the date and time of the event. Being clear about the date and time is crucial for throwing a good party. Use the calendar to pick the right date, and tell your guests when the party will start. Make sure your party doesn't start so early that things die down at the wrong time. If you start the party too late, however, then guests may be too tired to show up. Look around Facebook to make sure your party isn't conflicting with other parties that many of your guests may be attending. Check the calendar to make sure your party isn't on a major holiday, sporting event, or TV viewing event. This may discourage other guests from coming. Invite people who you think would actually come. There's nothing more annoying than being invited to an event along with 600 other people, especially if the event is on the other side of the country. Consider location. Pick friends who are in your area. Consider your relationship with the person. Make sure you know the person well enough to invite them to a social event. Have a manageable guest list. If you invite your thousand closest friends, the people you really want to see may not make it. On the other hand, if you invite ninety people to your house party, and too many of them show up, that can be a problem too. However, if you're publicizing something like your own book reading or rock concert, invite everyone! This will help get your name out there. Consider who you don't want to invite. You may love hanging out with your coworkers, but they might not quite gel with your other friends. You may have a close friend who you love one-on-one, but he may end up offending or annoying too many of your guests. Only invite the guests that you think will get along. Have a variety of guests. Invite people who may not know each other and who come from different walks of life. If you think they'll get along, this can make for a great party. However, if your guests are so varied that they have nothing in common, or if none of them know each other, you may spend your time struggling to get your friends to connect. If there's someone you really, really don't want to invite who can ruin the party, you may want to keep the event off Facebook. Though there are privacy settings, that person may find out about the event and can either ruin the party or be really hurt. 9. Set the privacy settings of the event. It's important to choose the right privacy setting for your party. Open to the public. This is the most casual option. If anyone is welcome and you're not shy, then feel free to tell the world! Open to friends of guests. This is a bit more open, and leaves the option for friends of friends to tag along. If you don't care if a few extra people come, then this is the best option. You may end up making new friends at your own event. Invite only. This is the most private option and the easiest way to ensure that only the people you really want to see will show up. However, remember that it's hard to keep things truly private over the Internet. 10. Press "Create" and you have created your event! Now you can sit back and see who is attending, and what your guests have to say about the party.